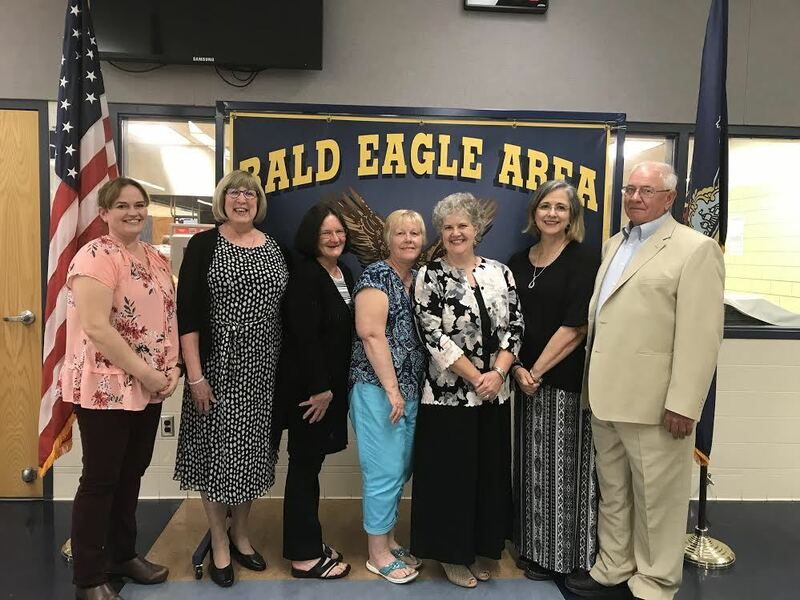 This year's 11 retirees have a combined 235 years of service to the Bald Eagle Area School District. On May 14, the 22nd annual Recognition and Retirement Banquet was held at the middle and high school to honor the 2017-18 retirees. The event gives administrators the opportunity to recognize the individuals for their longtime service to the district. -Holly Yearick, main office secretary, 26 years of service. Ruth Rhodes was also the recipient of the Carolyn D. Connelly Award for her devotion to students. The middle and high school will also be bidding farewell to its longtime main office secretaries, Richner and Yearick, who work together in the same office. Hoover, a middle school teacher, was also recognized earlier in May as a Teacher of the Year by State College Magazine. He retires this year after 35 years in the district.